If you intend on renovating a bathroom or kitchen, there’s a good chance that you’re going to run into tile along the way. Unless you have professional experience, tiling is best left to the experts, but how do you find the right person for the job? Here are some things to take into account as you seek out a tiling contractor. You can learn a lot by visiting tile suppliers. In fact, they may be able to recommend several licensed, professional tilers for your job. These individuals will have good knowledge of who can help with your project in the area. From here, you can contact individuals on your own and narrow down your options. While this great word-of-mouth option provides a great starting place, it’s also important to scope out any potential hires. 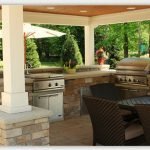 Certain online renovation professional listing services can be very helpful in checking out referred professionals, or you can start your search on a site that offers work samples, contact info, and references if you don’t have any trustworthy word-of-mouth references or want to avoid the leg work. You should always ask to see potential tile contractors’ previous work. This will give you a better idea of their skill level and what you’re getting for your money. Some features you should look for when examining tilework are grout lines, layout, and balance. Also, be mindful of the tile placement. If you can see any gaps where the tile meets the doorjambs or windows, this is an indication of poor work. If there is a project that your potential tile contractor is working on, ask if you can drop by and assess the site. Be mindful of how the contractor handles everything from wood trim to dust. Make note of how the individual closes off the work area from the rest of the house. This will give you a good idea of how he or she works, and help you decide if you’ve found the right contractor. As always, you should verify that your tile contractor has the licenses and certifications necessary to work on your property before you begin. Additionally, try to confirm his or her tile specialty. For example, a handyman or carpenter may not be as skilled when it comes to tile. In most instances, you need a genuine tile specialist, so don’t skip this step. It could be the difference between the renovation of your dreams and a lackluster tile job. To avoid disappointment as the project rolls out, make sure you have a strong working relationship with the tile contractor you choose. Before you begin, lay out the ground rules (e.g., working days, construction rooms) and timelines for the project as a whole. Any professional contractor should always be ready and willing to answer any questions you have along the way. I always get scared of ending up with tiles that look crooked or not clean. The skill is definitely worth it!